This pretty cool illustration and artwork is of the Portuguese Man-of-war (also called Portuguese Man o' War or bluebottle). 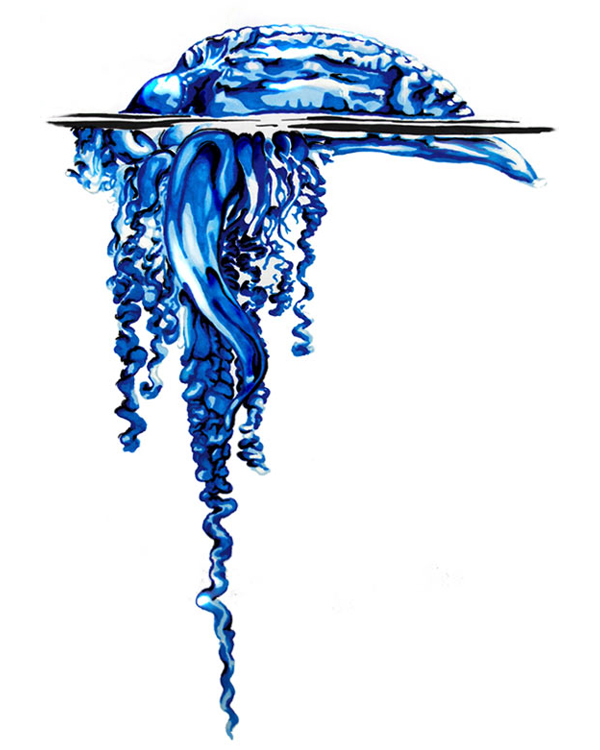 The tentacles of this floating animal can actually extend up to 165 feet below the surface! This is really crazy. They are also very venomous and can sting really badly, and it leaves whip-like scars on human skin. Ouch. 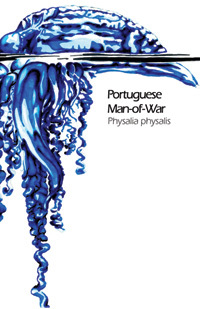 Animal drawing art description: Fine art drawing scientific illustration of a portuguese man-of-war. Color markers and ink drawing by Madeleine Dubé.